First unveiled at the 2013 Cannes film festival, James Gray’s The Immigrant was originally primed for a strong awards run that same year, but was then suddenly put into release date limbo before quietly being released in just a few theaters earlier this year. The studio has also gone back and forth on whether to market or campaign the film for awards honors. I bring this up because it seemed that the studio couldn’t decide whether or not they liked their own movie, and the film is such a mixed bag that I feel much the same way after a first viewing. The film starts as a fascinating look into 1920’s immigrant life centering on a Polish immigrant who gets quarantined at Ellis Island, before a mysterious man bribes an officer to set her free. 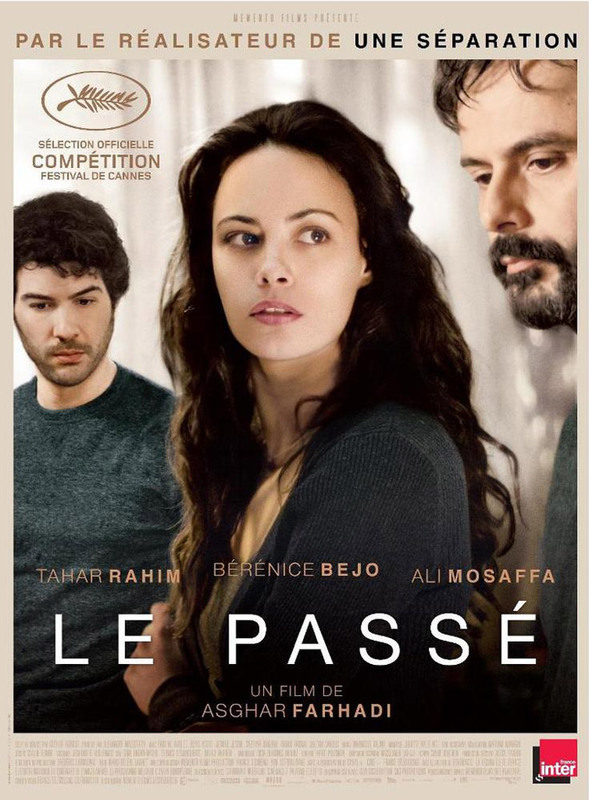 But what was a brilliant period piece with an intriguing character study is derailed midway through, when the plot turns into a melodramatic love triangle. There are many beautiful moments, including the film’s final shot (might even be the best of the year), and the film is anchored by two amazing performances by Marion Cotillard and Joaquin Phoenix, but sadly the third act is completely at odds with the rest of the film in content and tone, making the overall package an odd one. The new film from minimalist directors the Dardenne brothers, who have won the Cannes film festival’s top honor twice in their career (only 6 other filmmakers have accomplished that feat since the festival began in 1939). Their films, and especially Two Days, One Night, have always been deceptively simple on the surface, but underneath are raw and poetic and will leave you pondering its messages for long after. 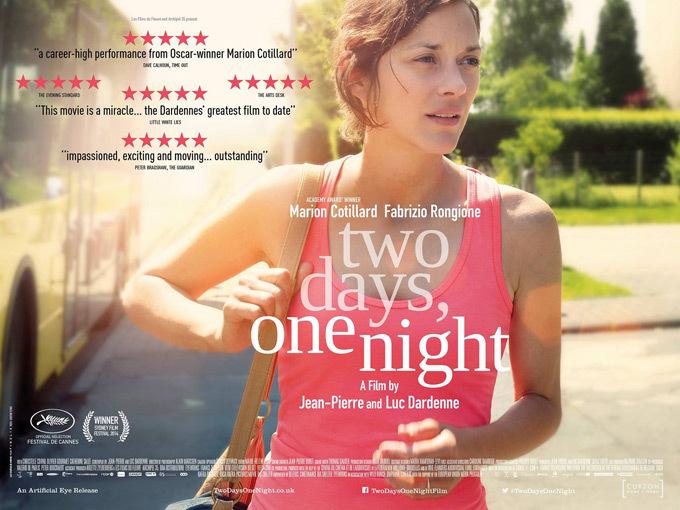 Emotionally and stylistically, Two Days, One Night is a modern day counterpart to Bicycle Thieves. This follows a working class woman who learns that she may be losing her job, as the staff have been asked to choose between receiving a substantial bonus or keeping her on the payroll. She has the weekend to visit her 16 coworkers and try to persuade them to let her keep her job. Through her struggle, which sort of plays out in a series of vignettes, we see glimpses into different family lives, the many ripple effects caused by her actions, her own character arc, and even a rounded portrait of the working class. In casting Marion Cotillard, this is also the first time the Dardenne brothers have not worked with a complete cast of unknowns. Marion Cotillard is brilliant, as she usually is, and it wasn’t until after the film that I realized how little dialogue she actually has, as she’s incredibly expressive, but without resorting to chewing the scenery or lashing out. It’s a wonderful, subtle performance. I was excited for Tusk. I loved the concept, I love campy B-movies, I was intrigued by Johnny Depp and Haley Joel Osment’s surprise casting, I’m a fan of some of Kevin Smith’s work, and I thought this looked like a kind of return to form for Kevin Smith and Johnny Depp. But nope, this film failed on almost every level. I did love the Walrus suit, it was disgusting and campy in all the right ways, but outside of that nothing worked. The humor ranged from bad to cringeworthy, tons of scenes were either completely unnecessary or just dragged on and on, and a lot of the dialogue was awful (most surprising coming from Kevin Smith), and not in a fun B-movie way. This one’s for Kevin Smith’s die hard fans only. With the year half over and Cannes behind us, here are the 10 films I’m most excited to see during the 2nd half of 2013. Something I should address up front is that Man of Steel, the most anticipated film for many, is absent here. Though I don’t quite have superhero movie fatigue yet, I’ve just never been a fan of Zack Snyder, and so I’m skeptical of anything he’s behind. This is his follow up to Sucker Punch, after all. 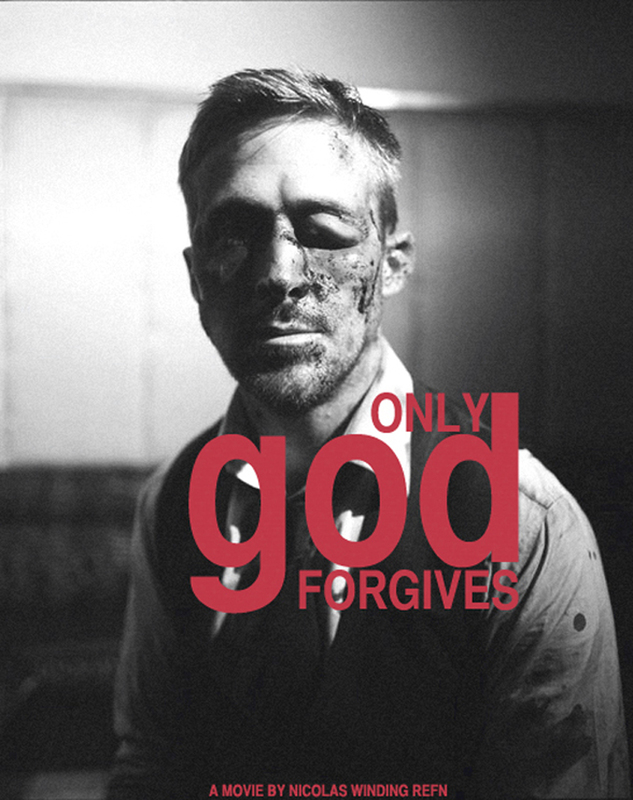 Having loved 2011’s Drive, I can’t help but be excited for Nicolas Winding Refn and Ryan Gosling’s follow-up. While Drive was universally praised, Refn seems to be going back to his more divisive ways this time, even drawing comparisons to Valhalla Rising in that it’s visceral, violent, beautiful, but all with a bare bones script. This could be the best “midnight movie” of the year. This fits right into Seth Rogen and Evan Goldberg’s wheelhouse, and with a great ensemble and an emphasis on improv, it has the potential to be a blast. Like Drive, Asghar Fahadi’s A Separation was one of my favorites of 2011. His new film is getting very strong reviews and he’s becoming one of the most exciting new writer/directors. This just won the palme d’Or at Cannes, and so it automatically gets a spot here. 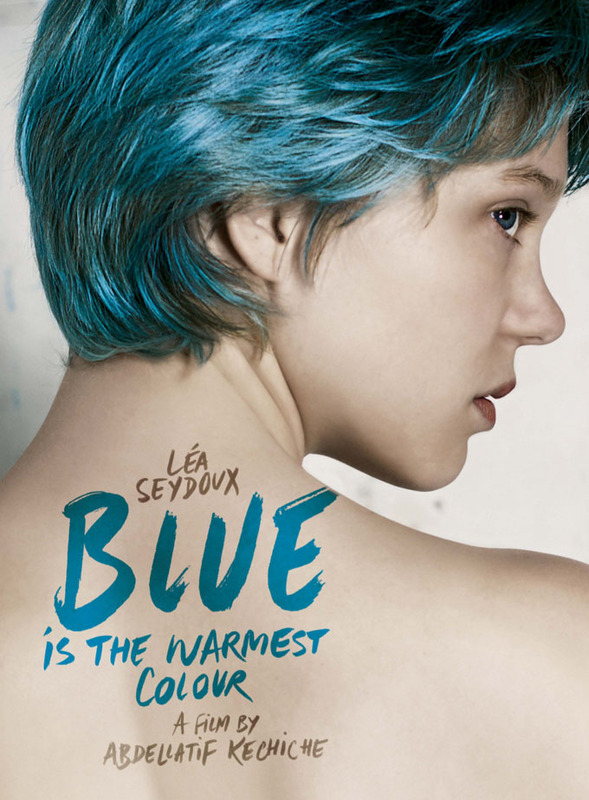 Other than the story centering around a young French lesbian couple, I know nothing of this film or its director. However, Cannes has a history of picking amazing films for its top honor, and so I can’t wait to see this. 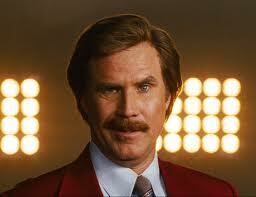 Long in the works, and I really just can’t wait to see Will Ferrell back in this role. Should be a lot of fun. 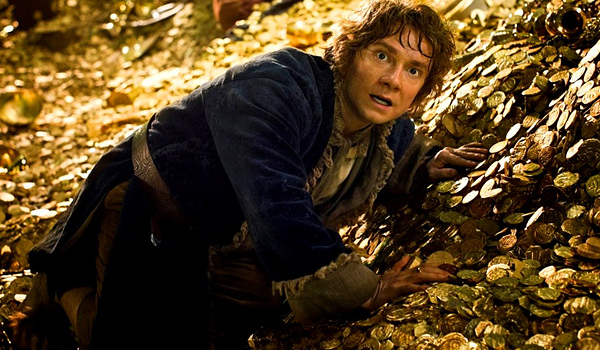 After seeing An Unexpected Journey, I’m no longer worried about The Hobbit being split into 3 films. I didn’t feel it had any pacing issues, it set up a sequel well, and it felt wonderful to return to Middle Earth. I’m sure Peter Jackson will work his magic once again. 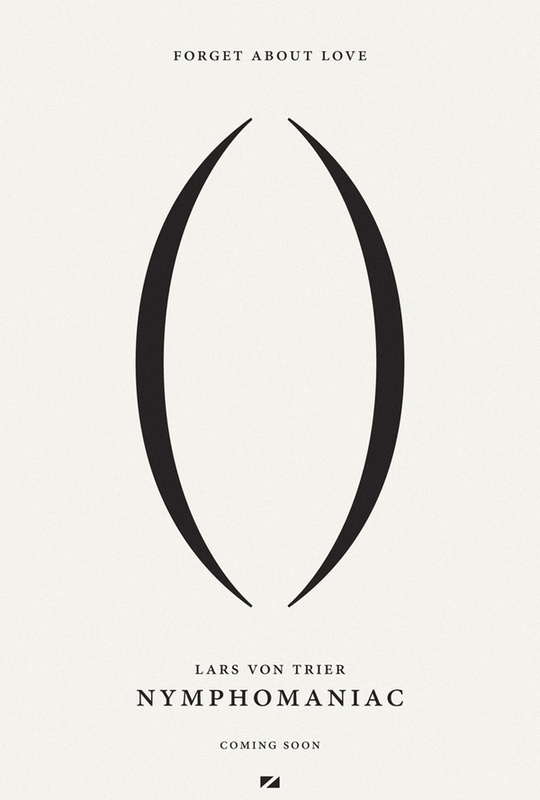 Ever since Antichrist I feel there’s been a misconception among some that Lars Von Trier is a one-trick-pony only seeking shock value. Though Nymphomaniac doesn’t look to change that view at all, I don’t think it could be further from the truth. He’s always made wonderfully innovative films, from pioneering Dogme 95 to writing and directing Dogville, which Tarantino called “One of the best scripts ever written,” and that it “Would’ve won the Pulitzer had it been brought to the stage.” He’s also been unpredictable, ranging from shock and horror to office comedy. Nymphomaniac will at the very least be one of the most talked about movies of the year. Steve McQueen might be the most exciting new director. This is his 3rd film after Hunger and Shame. 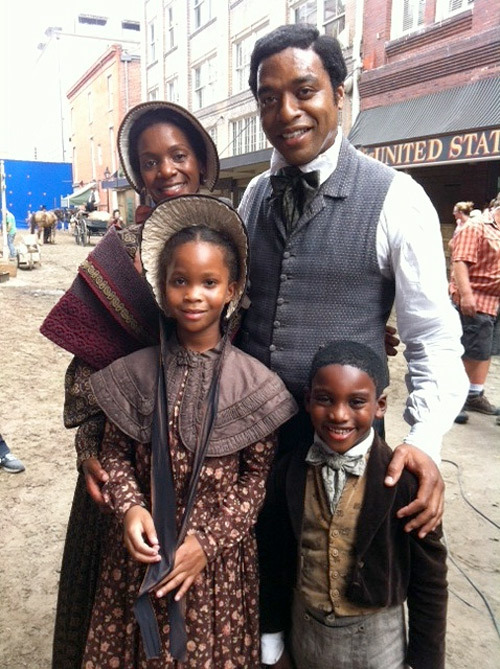 This time he tackles slavery in NYC in the 1800’s, and he has maybe the best cast of the year led by Chiwetel Ejiofor and Michael Fassbender. 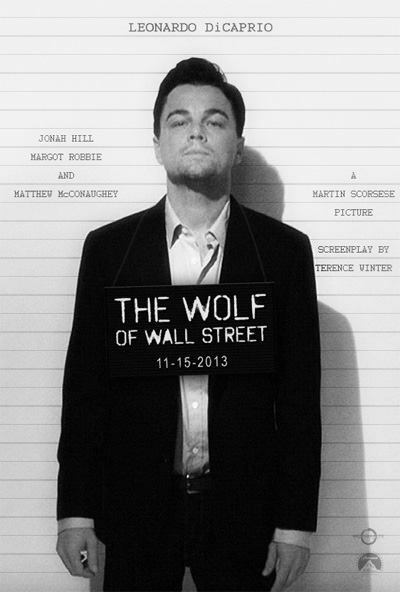 The 5th collaboration between Scorsese and Leonardo DiCaprio, and with reportedly one of the wildest scripts around. There are even rumors of an NC-17 rating, though I doubt a major studio would let a film such as this get that financial kiss of death. Regardless, Scorsese is an all time great, and I can’t wait to see him take on controversial and energetic material again. Not usually one for romance, the first two films, Before Sunrise and Before Sunset (which brilliantly plays out in real time), are two exceptions. If Before Midnight reaches the same heights, this series will, in my opinion, be one of the all time best. The three films were all made 9 years apart, with the actors aging naturally along with the characters. The two stars, Julie Delpy and Ethan Hawke, also had a big influence on the scripts of each film, so not only have the characters aged naturally, but they’ve matured naturally as well. Before Midnight opens wide on June 14th, and so far it’s been getting nothing but rave reviews. It looks to be a great end to a trilogy 18 years in the making. The heroine of Beasts of the Southern Wild is not all sugar and spice like most little girls. No, she is definitely part slug, snail and puppy dog tail, which is made endearingly apparent by her name: Hushpuppy. Together with her father, Hushpuppy lives in the Bathtub, a fictional Bayou-type swamp community filled with a lush environment and an equally vibrant cast of characters with whom it is easy to fall in love. Plot aside. this movie is visually compelling. Married with its incredible story, which tugged my heart strings toward fear, anger, tears and laughter in turns, Beasts is undeniably beautiful all round. Its triumph stems not only from how touching it truly is, but that at its end I was not left emotionally drained. Instead I was invigorated by Hushpuppy’s life and world, and left feeling thankful and with a craving to become both more brave and more wild. And for Creole cooking. Mmm. Chan-Wook Park’s first American film. Should be a doozy.